For as skeptical as we’ve been about President Trump’s ability and willingness to “drain the swamp”… it does appear he’s on the verge of making one radical change with the potential to save billions of dollars and countless lives. The story is still flying under the radar… but it has the potential to light a new fire under the biotech sector, one that would burn profitably for years. 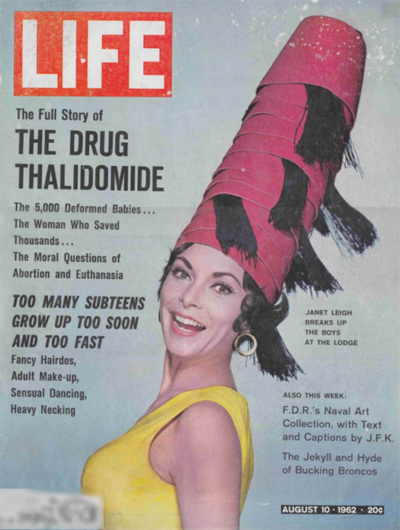 When it comes to modern-day U.S. drug regulation, it usually begins with thalidomide. Thalidomide is a sedative that became available over the counter in 1957 in West Germany. Pregnant women took it for anxiety and morning sickness. Within months, West German women gave birth to some 6,000 babies with malformed arms or legs; only 40% of those babies survived. Worldwide, the number of affected babies was estimated at 10,000, about half of whom survived. It was during that summer of 1962 when Sen. Estes Kefauver (D-Tennessee) pushed through an amendment to the 1938 Federal Food, Drug and Cosmetic Act. It required that the makers of new drugs coming to market prove not only their safety but also their efficacy. Ever since, “safe and effective” have been the watchwords for FDA bureaucrats. It’s the “effective” part that Trump’s new FDA chief might well change. And there’s another even more startling angle, another one The Wall Street Journal overlooked. “O’Neill,” Ray tells us, “is on the board of the SENS Research Foundation. I attended a SENS conference late last year in California where I listened to and spoke with speakers presenting on exciting new anti-aging science. “For the FDA to recognize this science and stop blocking it would change the U.S. forever. “Right now, the FDA doesn’t treat aging itself as a disease. It treats as diseases what can be considered aging’s symptoms — diabetes, cancer, heart disease and much more. It recognizes the symptoms… but not the source. We’ll monitor this story closely as Trump continues to put his team together; Ray follows the FDA as closely as anyone for our FDA Trader service. In fact, he tells us the agency is due to make a decision this week on a drug with blockbuster sales potential. You can learn more by following this link; just know that time is of the essence. On the first full business day of the Trump presidency, the major U.S. stock indexes are in the red. Amid those cross-currents, all the major indexes are down half a percent, give or take — the Dow at 19,739. Health care is taking a hit because a federal judge has blocked the Aetna-Humana merger on antitrust grounds. Treasury yields are backing off, the 10-year at 2.4%. The dollar index is retesting recent lows at 100.2, and gold is retesting recent highs at $1,218. Talk about dialing down expectations: One of Trump’s infrastructure advisers is already saying that $1 trillion infrastructure program might be more like $550 billion. “There’s going to be a little bit of tug of war between the conservatives and the Republican Party who are concerned about deficits and the president, who’s concerned about jobs,” LeFrak tells CNBC. “If Trump even gets a tax bill through the Congress in two years, it will be a miracle,” says David by way of update this morning. “Even then it is likely to be close to revenue neutral. It might well embody helpful reform for long-run growth, but at close to a net zero percent of GDP, it will deliver no Reagan-style jolt to the economy in the near term. As David’s been reminding us since late last year, the debt ceiling — suspended under a deal between Obama and House Speaker Paul Ryan since October 2015 — comes back into force on March 15. The Treasury can resort to a few accounting tricks to keep government running as usual for a while, but “by the Fourth of July,” David says, “the Trump administration will be out of cash. As Trump takes office, the rural economy is now in its 18th straight month of shrinkage. Economist Ernie Goss at Creighton University in Omaha conducts a monthly survey of bank CEOs in rural areas of 10 states stretching from Illinois to Colorado, and the Dakotas to Kansas. These are regions dependent on agriculture, energy or both; seven of the 10 states voted for Trump. Goss compiles the CEOs’ responses into the Rural Mainstreet Index. Like many similar economic measures, numbers above 50 indicate growth and numbers below 50 indicate contraction. The January number is 42.8. That’s little changed from December, but it’s a substantial improvement from last October’s 31.8, which was the lowest since early 2009. 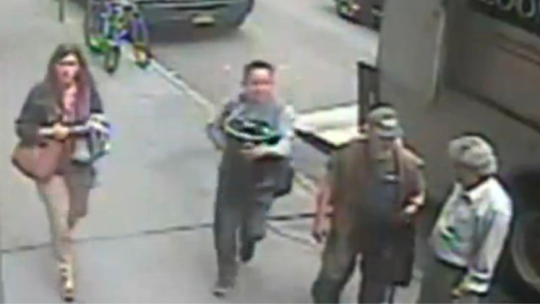 The suspect in New York’s Great Gold Flake Theft has been caught… but where’s the gold? Shortly before Christmas, police identified their man as Julio Nivelo. They say he fled to Orlando, and then to Los Angeles. Last Thursday, he was arrested in his native Ecuador. Police will pursue extradition to the United States. But the gold? Police aren’t saying. “Zach Scheidt’s enthusiasm for bank stocks conflicts with the narrative of Jim Rickards’ books and David Stockman,” a reader writes after Friday’s episode. “They both predict the collapse of central banks and worldwide economic downturn and say that too-big-to-fail banks are now even larger, with further concentration of wealth; that low interest rates have driven said banks toward off-book paper derivatives for higher yields; and that when one bank collapses, there will be a ripple effect worse than 2007. The 5: At the risk of repeating ourselves, we don’t enforce any orthodoxy here at Agora Financial. We think we deliver a better suite of services when we let our editors speak as freely as possible, and we respect the reader’s intelligence enough to sort out differences of opinion for himself or herself. We mused on this subject for an entire episode of The 5 one day late in 2014 if you want to see our reasoning in depth. And Zach isn’t oblivious to your concerns: “Yes, many stocks are expensive compared with historical standards,” he wrote his Lifetime Income Report readers last summer. “Investors are more willing to buy stocks, because they are getting zero returns on savings accounts and paltry returns on traditional bonds. So they’re buying stocks, and the demand has pushed prices higher. “I’d like to take a shot at celebrating Chelsea Manning,” a reader writes after we commemorated the financial revelations she made possible. “Naturally, the military wanted to keep secret our war crimes in Iraq. Chelsea prevented that. When the time came for the Iraqi government to renew their permission for us to be there, they refused because we wouldn’t agree to their insistence on prosecuting our people for war crimes. They threw us out! “This is a fact conveniently forgotten by those who want to claim that we left Iraq too soon. The 5: That’s an important historical point. Bush negotiated an exit plan for U.S. troops in Iraq as he was leaving office, with a deadline for withdrawal of year-end 2011. Obama tried to go back on the deal, but the sticking point was a SOFA — a “status of forces agreement” guaranteeing that U.S. troops accused of wrongdoing would be tried under U.S. law and not Iraqi law. With that information public, there was no way Iraqi leaders could agree to a SOFA and keep the support of the people. U.S. troops were gone from Iraq, on schedule, at the end of 2011. Now that he’s taken office, dozens of tiny firms could skyrocket by 100%, 300% and even 721%. This is your chance to turn a small stake of $100… into a life-changing fortune.